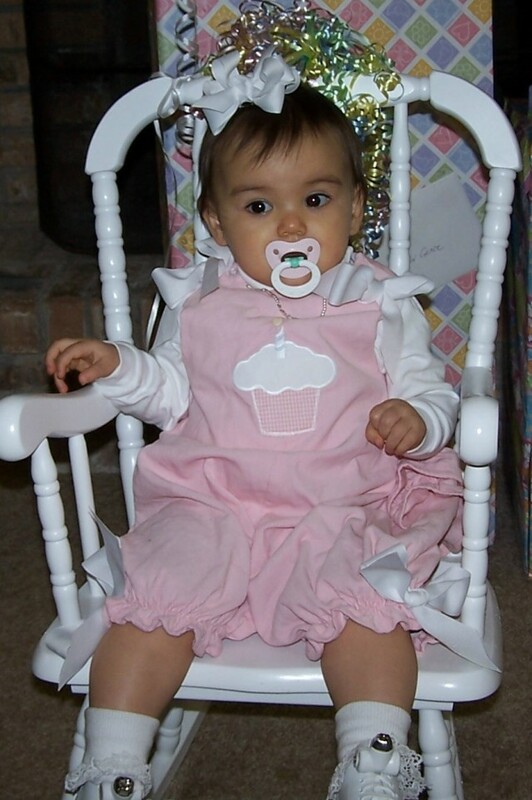 Ellison was born on Tuesday, February 25, 2004. She has been a very good baby from day 1, well, after the collic ended. She loves to sleep and eat. She had her first beach trip when she was 3months old...loved it!!! She spent most of her spring days at the baseball field watching her big cousin Reed, then all of her fall days watching football. (Northside, Central, adn of course Auburn) Watching her learn to sit up, crawl, and try to stand has been very entertaining. She has thousands of expressions, and we've tried to catch each one of them. We've had quite a busy year!